Arthur A. Levine Books, 9780439831550, 48pp. 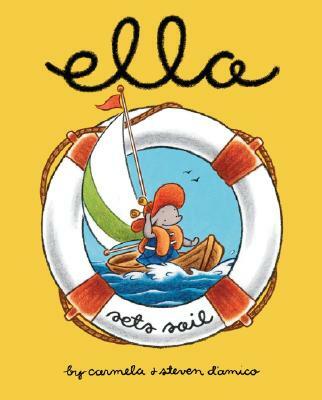 It's anchors away for Ella the elephant, as her magic red hat takes her on an ocean adventure that shows her what it truly means to be lucky. Ella loves the annual Elephant Island Carnival for its rides, its cotton candy and the fun she always has with her friends. But this year isn't looking promising: Belinda's being a pest, Ella's allowance is all gone, and it looks like a storm's coming. Has Ella's luck finally run out? Then a great gust of wind blows Ella's special hat out to sea, and she hops into a paddle boat to save it. A storm races in, and the wild ocean strands poor Ella on an island she's never seen before. Is Ella in for a miserable time, or is she going to learn what REAL luck is all about?